For the publishers who offer short story collection contests, I’ve tried to list the name of the contest afterwards. I don’t mean to imply any kind of hierarchy with this, because I think there are advantages to going with each. The Big House will get you more potential readers, the Independents will fight for you with independent bookstores and champion your book, and the University Presses often offer a home for the most innovative and exciting work being published. The best place to submit your short story collection is with the press that has published your favorite collections. I know that sounds obvious, but if you dislike some of the short stories that a press has published, they are not waiting for you to convert them by your brilliant (but different) kind of writing. No, they love what they’re publishing, and respect that taste rather than trying to change it. Go for it: submit your best short story collection now. Actually I should have left my comment here. We publish a pocket sized collection of experimental short fiction, funded on kickstarter, nationally distributed. Killing it. I’ve got a collection of short stories, 80% have appeared in now defunct on-line zines like Underground Voices, My Favorite Bullet, Cherry Bleeds, Zygote in my coffee, and I’d like to find a publisher. It’s edited and the artwork is done. Hello! May I ask what genre’ you are looking for? I thought that I’d add one for you that we also accept short stories at Brine Books Publishing. We are a new publishing house, but have good goals as we are publishing the books in order to try to raise awareness on important human rights issues while raising funds for charities and non-profits that work in the various sectors. I’m trying to find publishers of short stories that will take me seriously because I’m just 14 and people automatically assume my stories are bad because of my age. This helped a lot so thank you. Good for you, being such a young writer! Maybe try Teen Ink or Young Writers or The Claremont Review or Cicada or Kid Spirit. And keep at it. We need you. C’mon, would a COMPUTER write a comment about short stories? What I wanted to ask was, Are any of you listed up there interested in science-fiction short stories? Please e-amil me. I’ve had more than 20 short stories published in the past few years, but my best markets folded, and now all the liksts have gone on a puying basis. As an unknown and not in the position to self publish, how can I get my collection of short stories noticed? The collection is based on a sermon that touched eight members of the congregation and each story deals with the individual and how he/she responded and, in a sense, their tough, back-to-righteous-living testimony. There are so many obstacles placed by the publishing companies I have seen that I wonder if they only deal with known writers. I would work on your pitch more. I would also only contact religious publishers, as it seems this might be a decent fit for them. See if any of these Christian publishers accept short story collections. Good day please assist me. I want to share my life story where do I go about to get it read and published? OK so I have my short story collection ready. For the big houses, how do I go about pitching to them? I’ve looked, for instance, at the Dial Press link you posted. I don’t see ANY contacts listed for queries, and I take that to mean, “Go away, you short story writers,” but I’m not sure how to tell. Advice on who to query, and how to figure out what each place wants in terms of submissions/queries? Thanks. For big houses, you need an agent. Many others are also only agented — Tin House, Grove/Atlantic, Graywolf. That’s why contests get so many submissions — those are the main places where you have a shot. Thank you for the quick reply, and I guess this helps me figure out where to begin, since I don’t have an agent. Thank you again! My daughter is 12 and just finished the first book of a short story series. This is exactly the information I was looking for, thank you!! I like to publish short stories too. I am 77 and have published 10 books,. The first three are my autobiography of which two were published by Austin Macauley. I did not know that they were essentially self publishers. Anyhow in the two years the first two were published there has not been a single review. The last of my autobiography I have self published with createspace. Also in the same way my first novel TOBIAS STOLLER’S FARM (blue version). No reviews either (on Amazon). I have a trilogy which I have sent to countless agents and all have refused – nicely saying it was above average but no thanks. I have sent the same to two publishers six months ago and despite polite ‘we let you know’ there is no respons. why is everything so hard? Now I have three volumes of short stories (36 over the three volumes and I have sent off a couple of singles to magazines. Everywhere is a three month wait. I am at the point of giving up. What’s the point! There are too many writers anyway. Try book gems reviews to get reviews of your books. Thanks for all the great lists. Thinkerbeat Press: independent publisher, seeking short stories for anthologies. Great list. You can also try to submit your stories on getinkspired.com. Its a platform for independent writers to get published and reach new audience. Have you considered self publishing? Either way, if you need an editor to help clean up the prose before publication, I’m available. My name Alex Shutoff . I’m from Sevastopol. Crimea (now Russia). I’m writer from “future”, – this name gave my readers after publishing trilogy “Phantom of the Future”. I want to ask you – can you help me consider self publishing my short stories (all – 5), which connected with my traveling by “Seaking of USA 10 years ago. All 5 short stories by name “Harmonious Feelings” (version – in English language). HOW DO I ENTER THEM IN SHORT STORY CONTEST. Four short stories aren’t enough for a whole collection. Look up either chapbook competitions (USC Gold Line Press has one), or submit stories one by one to short story competitions. Also, figure out the genre. Most of the competitions on this site are for literary fiction, so if she wrote mystery, romance, westerns, etc. make sure to search for story competitions for those specific genres. I just finished my short stories that I have written in my home language(SESOTHO)and do not know where to start to be published,please help. I would recommend translating them if you want to use this list. Then Look at every publisher and see if you think they’re right for your story. Look at their previous collections, look at what journals their authors have published the short stories (maybe some that you have published in), and go for it. hi, thanks this page, well im looking for a publisher to publish my story,but written in pilipino. 🙁 can you help me or any suggestion? If you translate it to English many of these publishers would be interested, but I don’t have any publishers listed that serve languages other than English. I do write childrens short story books as young unknown author and I also written few of them that I will love to be helped with them to get them published. So I hope in here I will get help that I need with my short stories for children…. Thank you for this I will try them, or some anyway. I have for a number of years been thinking on the possibility of writing a book. But for some reason there is that little something in me that prevents me from attempting to do so. You see, I have been very fortunate in life in being able to see and experience things of a high nature. I have documented many of my experiences and to put it in book form would – I believe, help many to come to better understand of life here and the other. Maybe this IS the first step towards acheiving that goal. And I do know there are many books out there on this type of stuff, but, NOT what I have. Just have to wait and see, if its meant to be it will certainbly be! Thank you again. I am interested in writing short stories in Sesotho language, am I allowed? And again where should I get fund for publishing my book? I’ve written a 5400 word true short story about being a suspect in a 1952 Chicago murder case (unsolved), Titled Suspect Sam. It has some twists and turns plus humor. We live in India. I teach English Literature in a college. My son, 19, is student of 3 rd Semester , majoring in English Literature. He writes short stories and poems. Quite a few of his short stories have been published in The Statesman. 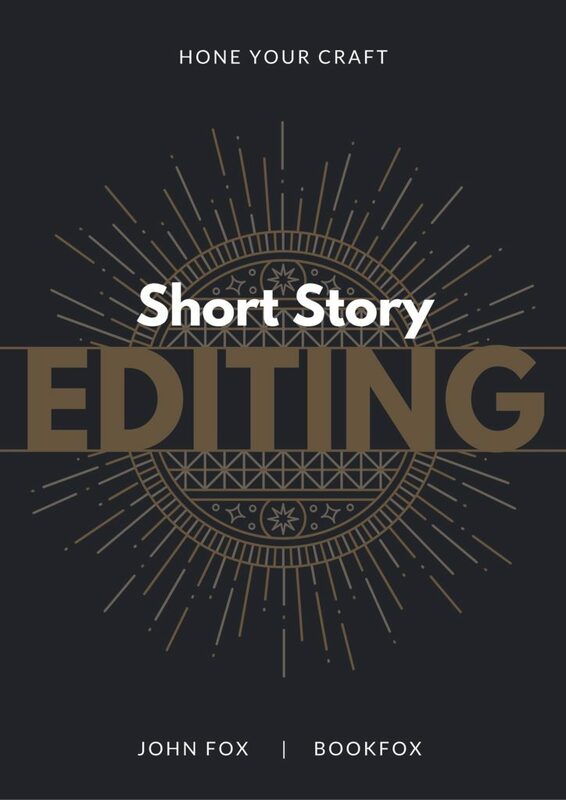 Recently, I have chosen twenty of his short stories and want to get them published in a collection entitled “In Search of a Story.” But I can’t afford to go for self-publishing or even partnered publishing. Jayanta Mahapatra, the celebrated Indian English poet, has written a Foreword to the proposed book. And Sukanta Chaudhuri, Professor Emeritus of the department of English in Jadavpur University, Kolkata, has written a paragraph in praise of the stories of Sinchan Chatterjee ( that’s the name of my son ). Which publishers are likely to accept our proposal for the publication of the proposed book? Please help. Please don’t say, ” you MAY submit your proposal to all the publishers mentioned in the list. Kindly suggest some four or five publishers who will not reject our proposal. If you hired me as an editor, I could give you much more specific advice. I have not yet received a reply to my question. Is anyone able to help me? I think your question is a bit too general. Break each section down into parts and then google each one. For instance, there are thousands of blog posts about how to write a good query letter. If you’d like help with how to organize the collection, or which stories to include and what not to include, or what publishers would be a good fit for your collection, I provide that service to clients that I do short story editing for. Please contact me! Like to know more about what stories ,when the feedback is given and how you pay for short stories. Do you know if these publishers also publish non-fiction story collections? Essay collections? Some of them might, but I was focusing just on short story fiction publishers. I’m interested in publishing a book of very short stories/ snippets of true life experiences (day to day things) and people watching. Is there a market for this and do you know of any particular or specific publishers you can recommend that would be interested in publishing this type of work? These publishers are mostly looking for fiction, I believe. For nonfiction shorts, you can check out Brevity. Life stories are almost always self-published unless you are a celebrity. You can self-publish through CreateSpace on Amazon. It’s free to do that. I just need a publisher. I have a small book ready…I’m also a young writer, not revealing my age until i find a publisher. I am 65+ .Lives in India . I used to write in Marathi . I publish on a freeread site . Is any publisher interested ? If it’s published already, publishers are usually not interested. 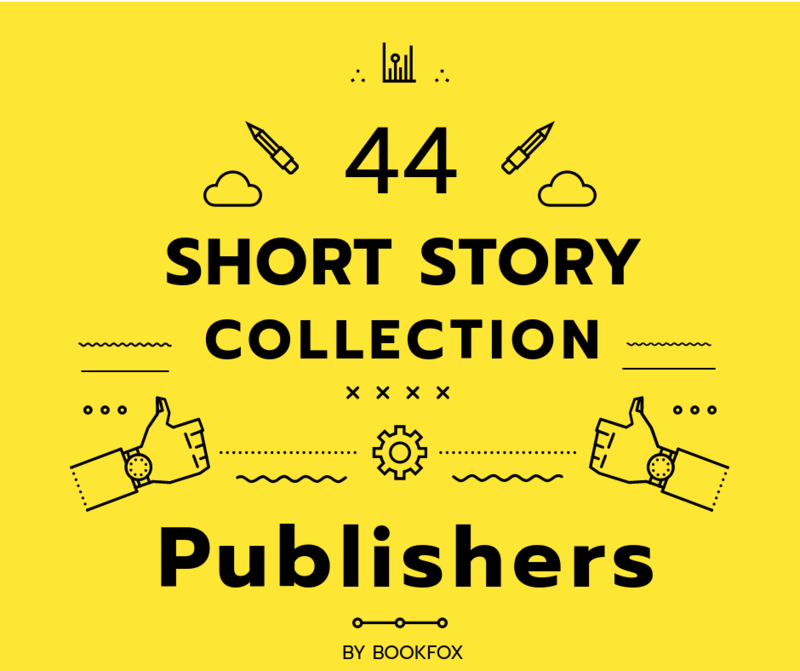 I was skimming through a few of these companies, but I was having a difficult time finding someone interested in publishing a collection of short stories and poetry. Any suggestions? I don’t know anyone who does blends. It’s usually all poetry or all short stories. But if the stories are almost poems, sometimes a poetry publisher will publish prose-like poetry/stories. Need help to publish my children’s short stories. Anyone know the best way forward? Hello. I’ve had a short story collection published in the uk (last year) but the publisher has no distribution so it has had low sales. However it has been extraordinarily well reviewed so I now feel I’d like to try and pitch it publishers outside the uk. Publisher is willing, though reminding me that they have world rights. I don’t know how to go about this at all – any advice as to where/who to send it to? I’d look for an American agent, for starters. If that fails, then you could start cold emailing publishers (I’d target mid-sized indie ones) to see if they’re interested. Most of the time, they want a short story/novel two-book deal. Hello. I have nearly 58 short stories. Mainly fictional life stories. They are all typed on a normal letter sized paper. Some stories are based, but not directly wrote, on true events and/or people. I have stored them in a binder. This would be my first time publishing any type of short story book. I know people that I have introduced those stories to have really enjoyed what they have read. Now, I am very limited on money to get this going hoping for a return. Is there any help out there with this situation? Any Suggestions? Thank You in Advanced, Vincent. Viroqua Wisconsin. You need a computer file, not printed on paper. And realize that these publishers listed here only accept a very small percentage. If you need editing help, please let me know. Thank you much for the response! Sorry it took me so long to reply. I’m not at the computer very much or often. If you can provide more in site and what I need to do, please reach out to me. I am new at this and am trying to learn off a very low income budget. I just want to know about where can I submit my short story? None of your seven BIG HOUSES has a place to submit! You’re a joke! Yes, the big houses only accept agented submissions. I would recommend trying the other 37 publishers on this page. I love to write, but there is no way I can afford to self publish. Im a widow. I’m hoping someone will read my work and hopefully get published to share my talent and maybe find a new career. There have got to be some good hearted people who would be willing to help me get started. I write on many tops including fiction. Any ideas for help? and didn’t receive one reply. It’s basically is a waste of time to contact them. Talk about being independent! Yes, literary agents really dislike short story collections. They’re very difficult to sell. But for almost all of the publishers on this list, you don’t need a literary agent to submit to them! I have a collection of short stories. I’ll really need a publisher to go through them. Because peopel around me, don’t even take me serious. Are there any Christian publishers that offer free publishing services for Christian short stories? Hi .. I have many short story collections and I’m looking for publisher .. Thanks for the list. How much do you charge for editing? Hi, go ahead and look at my short story editing page. To help people to create multiple perspectives in their life, so they can change their point of view of their current situation and improve their life, grow and have peace of mind. Few short stories in Spanish and English. Any recommendations for Spanish publishers? Twelve House considers short story collections. I have a collection of short stories in English about the life of women in a small West African community. Currently looking for an agent or a publisher. Thanks for this.